There are many reasons to sign up for an account with VEHA. You will receive important announcements that concern you as a homeowner. 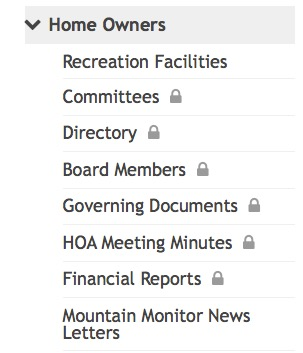 You will have access to our quarterly newsletter, the Mountain Monitor. You will have access to the information you need to know about our community. Our finances, Rules and Regulations, access to forms, and more! We will be able to find you easily and contact you if there is a problem at your property. 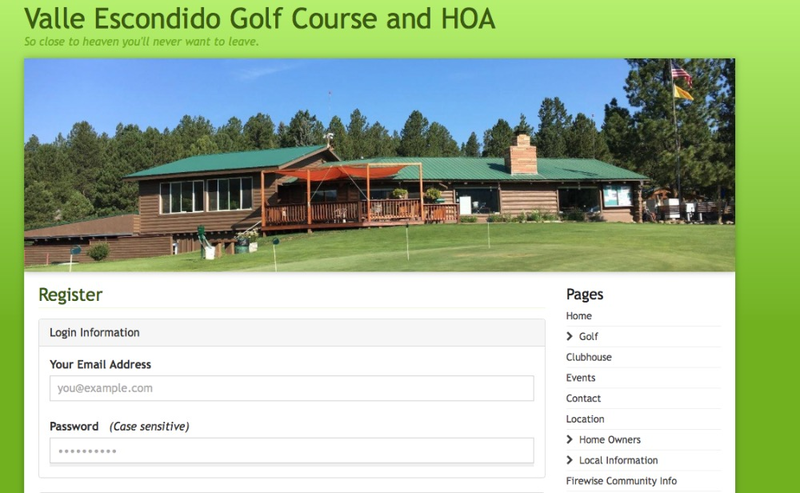 Your neighbors and acquaintances in the Valle will be able to contact you! We have our Directory behind password protected areas of the webpage so others cannot see our Directory. We do NOT share this information with others and you are in control of what is shared. No one can change your information - you have to do it . This protects you! Select Register and a new page will open. Enter your email and a Password. Continue filling in the rest of the information on this page. Once this is completed, you will see a button that tells you to Register. Click this button and you will have registered yourself with the VEHA. Now that you are registered, you will be able to see all of the pages that are in our secure area of the website. You will find the menu below on the homepage. The little locks show you they are for Valle members only. Browse around! You will find a lot of valuable information in this area. You can change the things you would like to change or correct here. Make sure you save the changes by clicking on the word “SAVE” at the bottom of the page. You will notice that this drop down menu also has a place for you to “LOG OUT”. Finally, there are several tabs in the Account Settings that can help you find things that you find of interest. Please check out these areas while you are there.